Looking at the ease with which a yoga teacher performs varied postures, learners find themselves pushing beyond their physical capacity. In order to conquer your body & mind, you need to maneuver in a highly dexterous, well thought-out manner, so that you are successful. 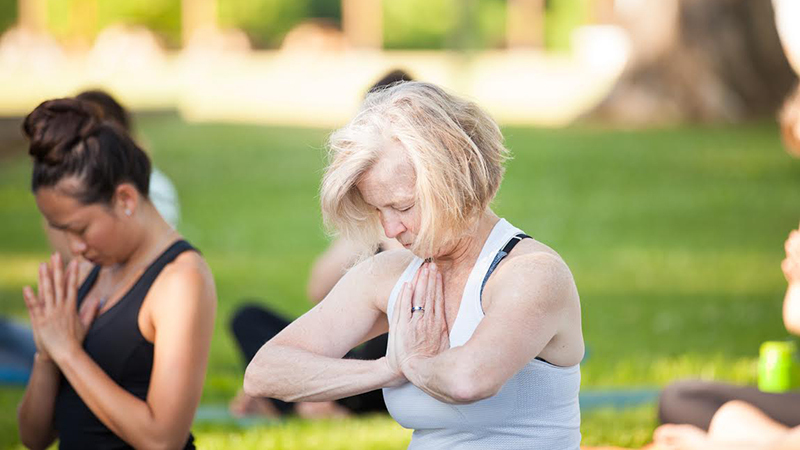 In the past six or seven years, yoga has become a trendy exercise regimen, with studios popping up all over suburbia and classes filling up at recreation centers and health clubs. 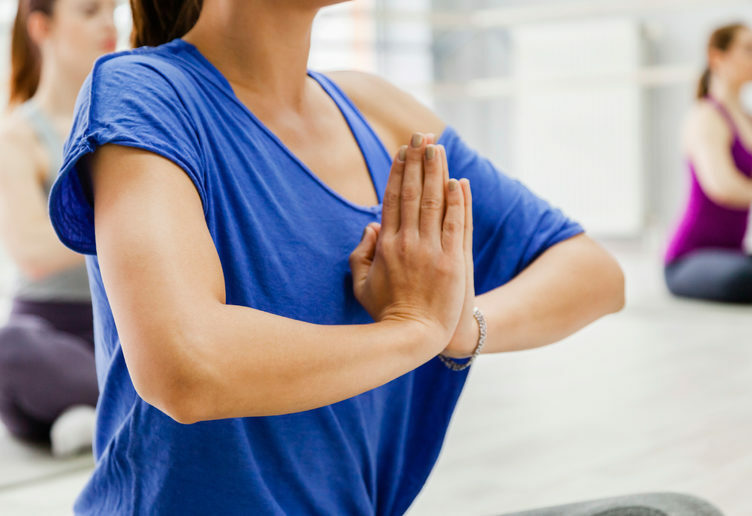 The meditative side has been de-emphasized in favor of the physical, and much of that has evolved into more of an aerobic workout than a slow stretch. Pushing too Hard: Yoga injuries have increased substantially in the past few years, with overcrowded classes and disengaged instructors to blame. Pain in Low back, hamstring, knee and sacroiliac joint — result from people overdoing it in a yoga room. People need to listen to their bodies and not push themselves beyond their limits. The exercises have to be done with ease and pleasure and not with effort, tension, striving and overstraining. Modifications or yoga aids might become necessary during initial months of practice, especially in case of a beginner. Yoga does a body good, but if you up the intensity or frequency too soon, you can overtax your body and risk injury. Interrupted Breathing: Patanjali regards the inhalation and exhalation process as an impediment in Yoga, because the alternate breathing causes a sympathetic reaction upon the breathing itself, resulting in oscillation of thought. Pranayama meaning suspension of the breath and a prevention of the normal alternate breathing. Suspension of the breath is supposed to lead directly to fixity of mind, concentration of consciousness, and freedom from the oscillation of thought, freedom from the movement of the mind towards objects of sense. One day or the other, as the result of persistent Yoga practice, this breathing process will get merged in the thought process, and the Yogi’s vital energy will become one with his psychological being. All that is his personality will get concentrated in a centre of consciousness. There will be no alternate breathing at that time. Forced retaining of the breathing during Pranayama can lead to pulmonary emphysema (breakdown of the walls of the alveoli and widening of the alveoli). 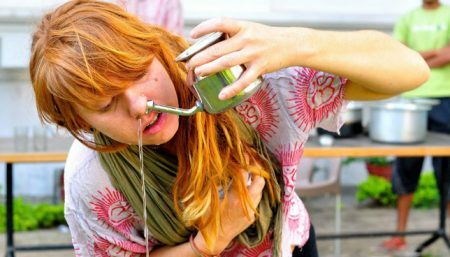 Remember to breathe slowly and deeply through your nose for the entirety of the practice. Loosing Focus: Students eye each other to see who can do the pose the best or how they stack up against the rest of the class. But it distracts from your journey of self-discovery to constantly compare yourself against others or even yourself. If the Yoga exercises are performed mechanically and unconsciously, like conditioned reflex, they have minimal effect, mainly on physiological level. All exercises especially Pranayama and Pratiahara are to be performed with an attention guidance and full realization of the process (which does not means thinking or reasoning). Thinking and reasoning are informational verification of the content of the memory. The forced practicing of Pratyahara and Samyama practices leads to neurosis and psychic stress. There is no forced concentration in Yoga. Energy Imbalance: The poses or asanas are vehicles for self-discovery. Improved fitness, flexibility and health are by-products of the practice. Kundalini syndrome (tension and weight in the head, vegetative disturbances, terrors, sensation of warmth or cold in the body, neurotic over excitement, para-hallucinations – visions with the peripheral vision) is a consequence of a unharmonious practice which overloads the central energy system (Ida, Pingala and Sushumna) and the peripheral energetics has blockages, which leads to a energy unbalance. This unbalance can be corrected through Tala Yukta, Yoga Nidra, Prana Shudhi, Prana veda, Svastika darshana etc. Ignoring Pain: Pain is a strong signal that you’re doing the pose the wrong way or too deeply for your flexibility. Back off or come out of the pose the moment you feel pain and ask for a modification. Do not ignore pain. It is common sense to realize that a sedentary person will hurt oneself if he did the shirasana or head stand. Instead of ignoring, watch your pain, observe, be the witness. Like watching a desktop object – a tomato, a TV or tape recorder. Just watch, observe, without getting involved. There are instances of people who have successfully implemented this technique to surmount pains resulting from gout, arthritis, rheumatism, even fractures and cancers. Relax after every pose and at the end of the session. Never push to the point of pain — especially in your joints. lower back, or shoulders. Omitting Warm-up: Under a time crunch, you may be tempted to skip some warm-up moves and go directly into a complicated posture, but that’s sure to increase your risk of injury. It takes a full 20 minutes to warm your body up to the point where it’s safe to go into those serious poses that require a deeper level of strength, balance, and flexibility. To warm up you can march in place, jump rope, or hit the treadmill for several minutes to get your body warmed up and then engage in simple stretches before taking on more complicated postures. Forcing Meditation: A person should never enter with force into meditation, with volitional concentration and with struggle with one’s thoughts. In Samayama (meditation) the person should enter through a fine breathing technique of Pranayama (keivali, retaining the breathing, shiva’s breath, nadi shodhana, udjaya, the dragon’s breath, etc.) 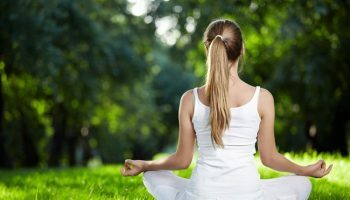 or through Pratiahara technique (tala yukta, cobra breathing, kriya etc.). Do not meditate or relax while is overstressed, enervated or angry. In these cases satvasani breathing techniques (keivali, Shiva’s breath, nadi shodhana, abhaya) are performed. No radjastanas or generating pranayama are performed. Order of Asana: The asanas are always combined on the principle posture – contra posture and are to be performed in groups: inverted, twisting and turning asanas, balance asanas, relaxing asanas. For e.g., Shakti bandhi are never performed one right after another because this can lead to a energy overload. Between them are performed exercises that distributes the energy – mukta asani and vari asani. Note that, inverted postures are never performed after the generating pranayamas. Over looking do & don’ts of Individual Asana: Let it be noted that Yoga is not bottling up of energy, but a wise utilization of it. If water is allowed to build up in a dam without being released, the dam will burst. Dams are not built so that they may burst. They are built for optimum utilization of the available water resources. But, if the waters are not so utilized, and are just allowed to build up inside the dam, the dam will burst, and the waters will ravage the land. Every yoga asana carries a list of instructions, precautions, modifications under it. Its your responsibility to carefully follow the instructions to derive actual benefit of the asana and avoid physical and psychological setback. Under-estimating the five Tattwas: We should know how large the world is, how powerful nature is, and what a tremendous energy the five elements called earth, water, fire, air and ether hold within themselves! Our body is made up of the 5 elements and and so is everything we consume. The panchamahabuta concept should be applied to maintain health and promote healing. In a healthy body the 5 elements are maintained in a particular proportion. Since tattvas are the elements you are comprised of, you cannot get rid of their projections. When the state of the body is not in it’s natural harmony, the body will try to maintain it’s equilibrium by eliminating excess elements and taking in others. All disorders of the body are manifested because of a disturbance in this balance of the body’s components. Look out for a class that emphasizes awareness rather than achievement.